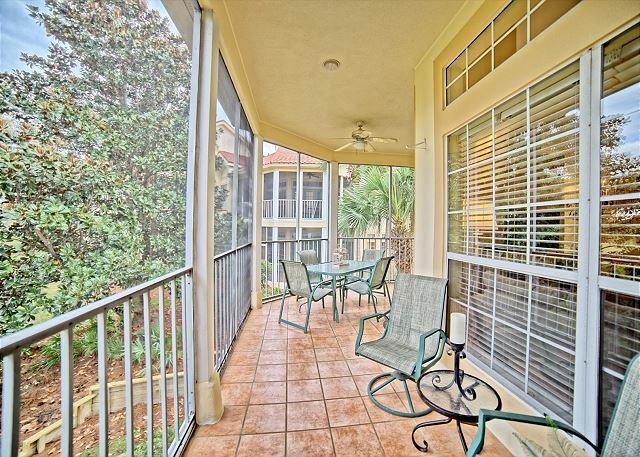 Spacious 4 bedroom,4 bath unit with screened porch with Tivoli views containing 1512 square feet. 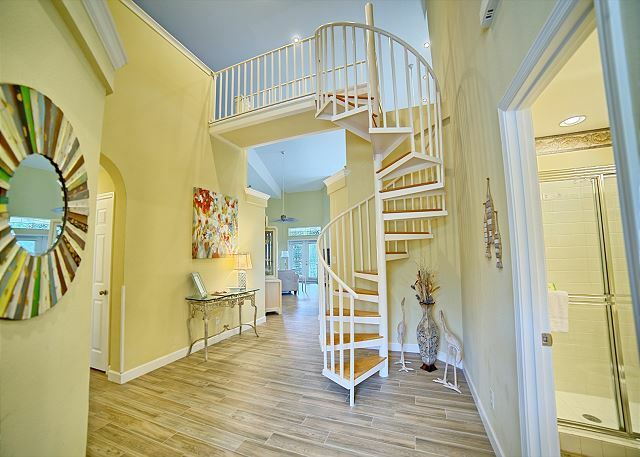 The unit is 2nd floor with spiral staircase to 4th bedroom with princess sheer tent. 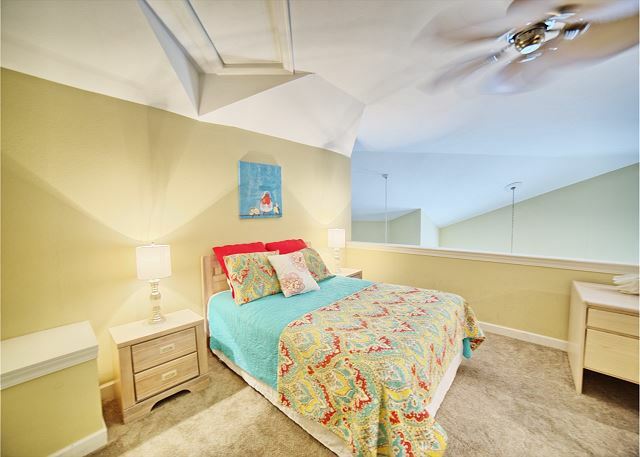 4th bedroom overlooks living room/kitchen with private bath and loft design. 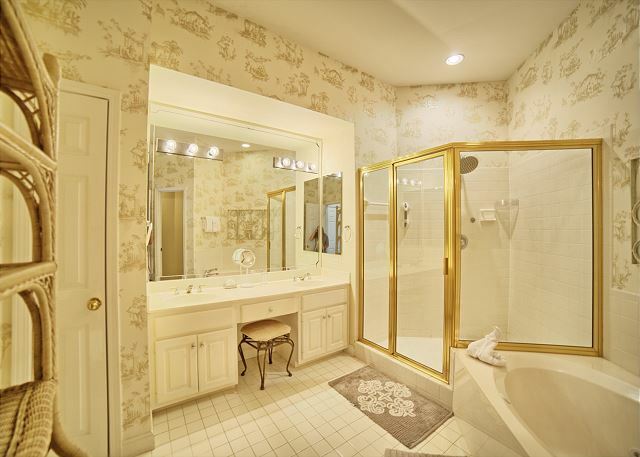 Master bedroom is king with huge bathroom; separate tub and shower; double sink. 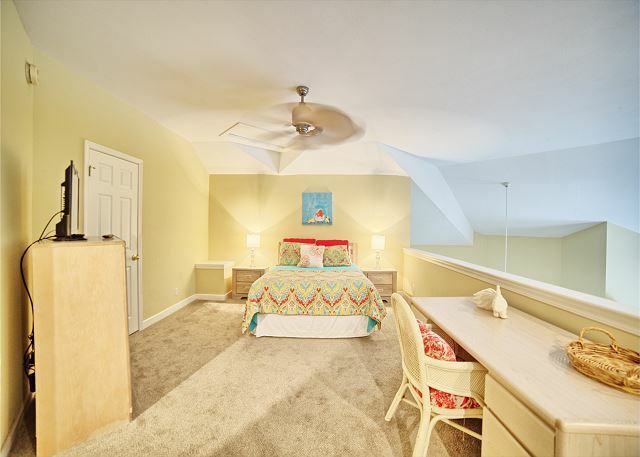 Master bedroom is separate and private. New flooring through out the condo. 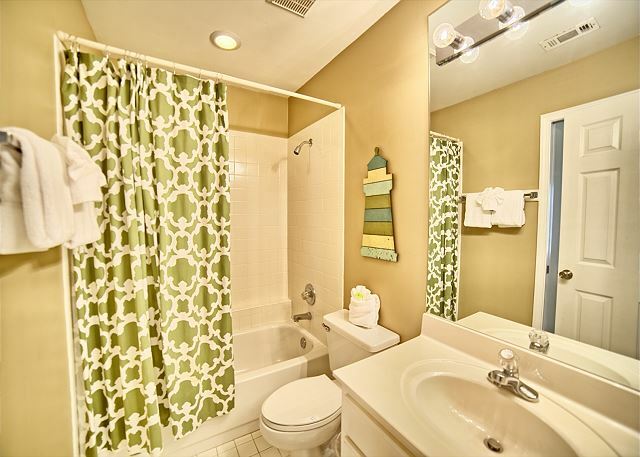 Master bathroom was totally remodeled and other 3 were updated. 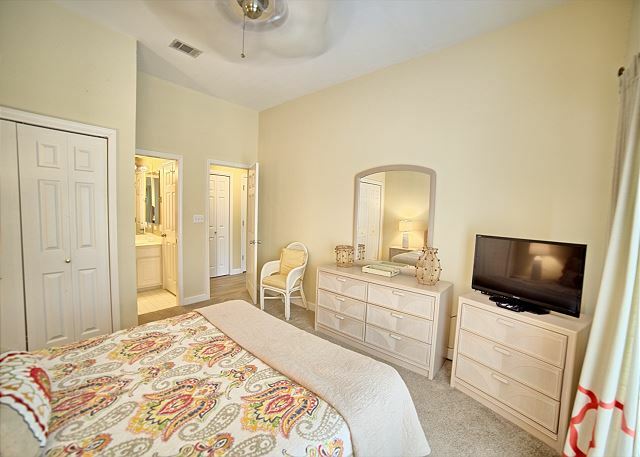 Other 2 bedrooms on main floor are queen with one adjoining full bath and other full bathroom at unit entrance. 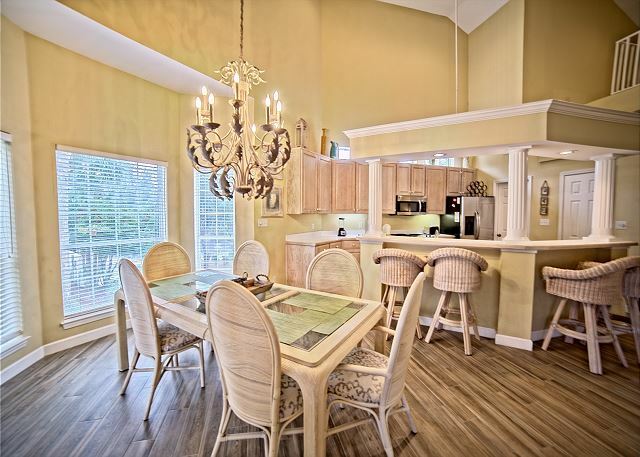 Open spaced living room, dining room seating 6 to 8 and full kitchen complete the picture. There are no units above to create any disturbance. 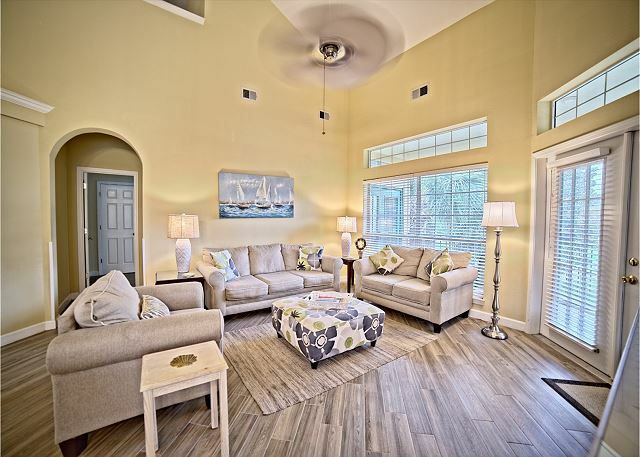 Tivoli is beachside and provides a quiet area and a lovely subdivision pool. 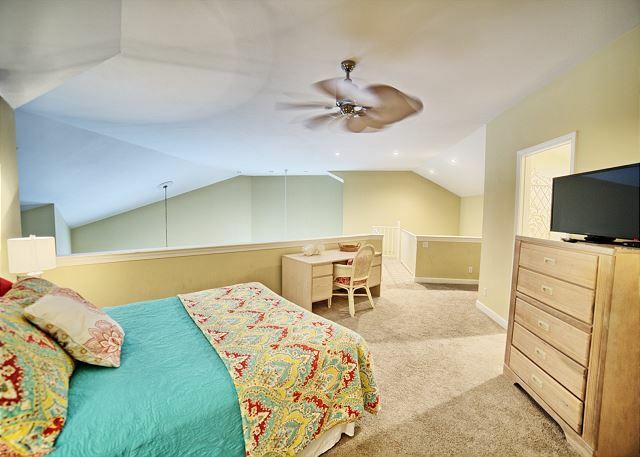 Rooms Sleeps 10, Pet friendly, 4 bedroom, 4 bath very spacious on beachside and overlooks golf course. We are thankful that you enjoyed your stay, see how awesome this unit is and want you to come back often. We stayed January & February in the condo. We had a great winter even though the weather was not ideal. 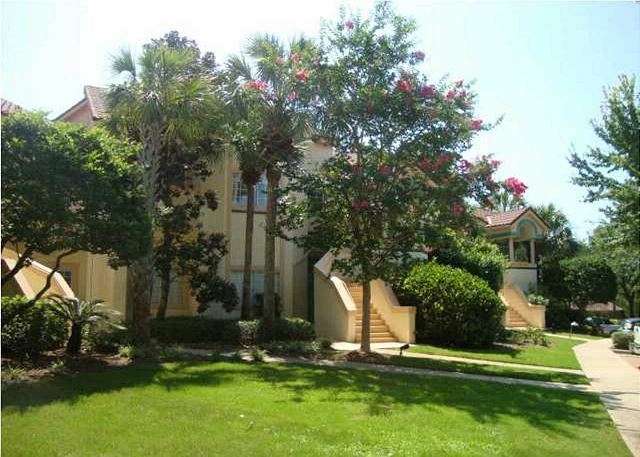 The unit is located perfectly for our needs...near the beach, grocery and restaurants. We enjoyed it and are going back next year. Only problem was a weak wi-fi signal. Randy, I was surprised that your overall satisfaction was a 4 rather than a 5. I am talking to owner and HOA about the wifi for advanced needs. You have stayed at this condo for 3 years now and over 2 months each time, thus I would assume you enjoyed your stay. I was always available to assist in any issue you had. Next year contact me if you do not arrive to a 5. Beautiful and definitely going to rent it again. We stayed at the condo over Thanksgiving and family members stayed a few doors down. It was absolutely perfect! Very spacious, clean, and comfortable. Love the back porch. Love having all the bathrooms. Would definitely stay there again! Let friendly - Thank You! Pet friendly - Thank You!!! Clean and spacious. But golf cart, as most other units in area have, would be very much appreciated, particularly given distance to beach. I am so sorry that the need of a golf cart was the central reason for a 4 rather than a 5. We do offer tram service to our guests that deliver you right to the beach. We had a great week and the accommodations were even better!!! The only thing that I would recommend would be a golf cart!!! Rental was large And spacious. Fairly clean but comforters could use some cleaning. The steps were hard for me since I have a handicap. Location to beach was a good ways even though there is a tram to take you. We never could find times that tram picked up. Sometimes difficult to find parking spaces close to condo. Enjoyed the balcony and time with family. 24/7 oncall could have assisted with any of these issues. Glad you see the value and recommend to others. The property was amazing, very spacious, pet friendly, super clean and well equipped, the house has everything you might need for a vacation, even the little things that you might have not thought about, this house has them; the location was really good as well, a 5 minute walk and you are at the beach with the whitest sand and a beautiful sea. We really enjoyed our time at the house and Destin; cannot wait to go back next year. Precious Spacious & A Great Location! We had a wonderful stay. 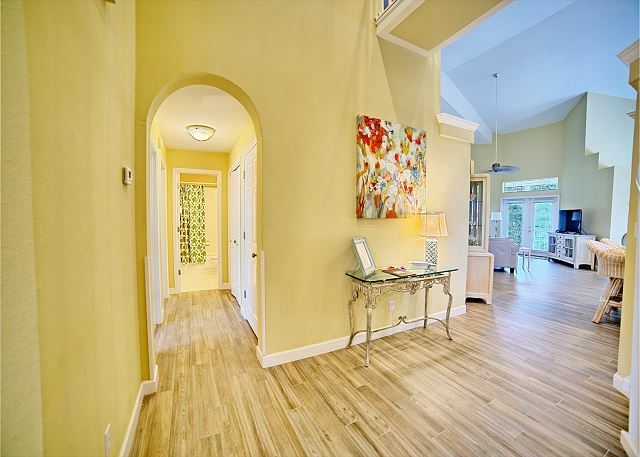 This home is exceptionally spacious and functional. The decor and updates are beautiful. The floors were very dirty so we had to keep shoes/socks on at all times. The beds weren’t very comfortable but the Pros outweighed the Cons for sure! We will book again for next year! I wished you had called as we have 24/7 oncall available for any issue. This is a fabulous unit that I never have complaints about and I assure you I will personally check those floors when you come back. Glad you to hear you see how great this unit is. 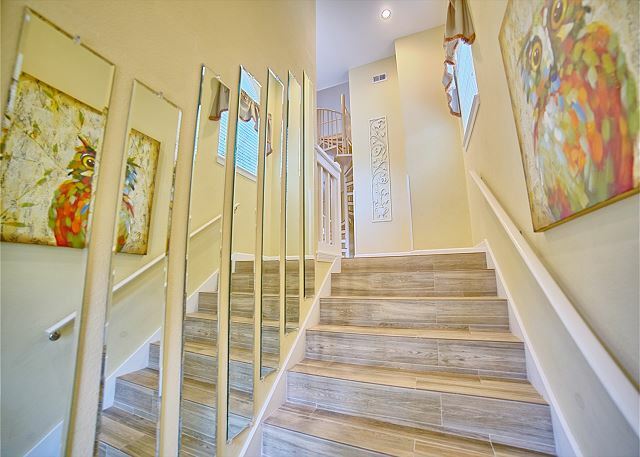 This property is more beautiful in person! Very spacious rooms. 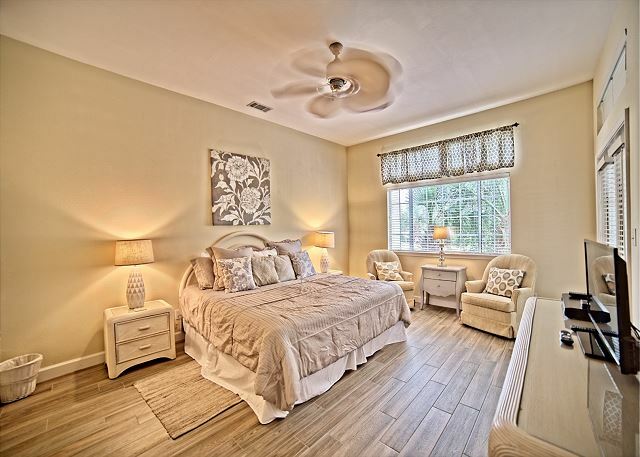 Master bedroom and bathroom are both wonderful! 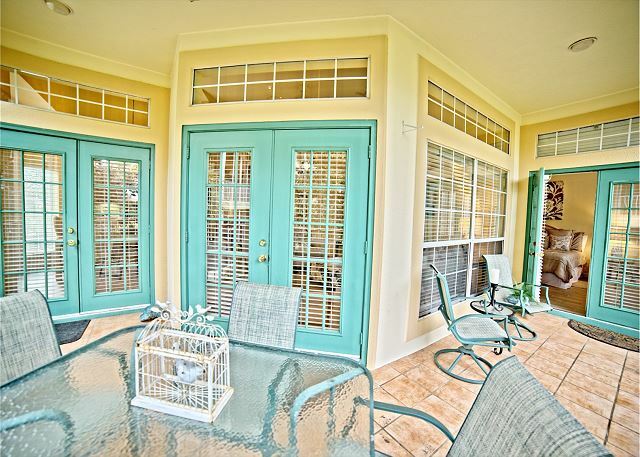 Screened porch is great for early morning breakfast meals. Would reccomend to anyone. Our vacation was well spent during our stay at 5271 Tivoli. 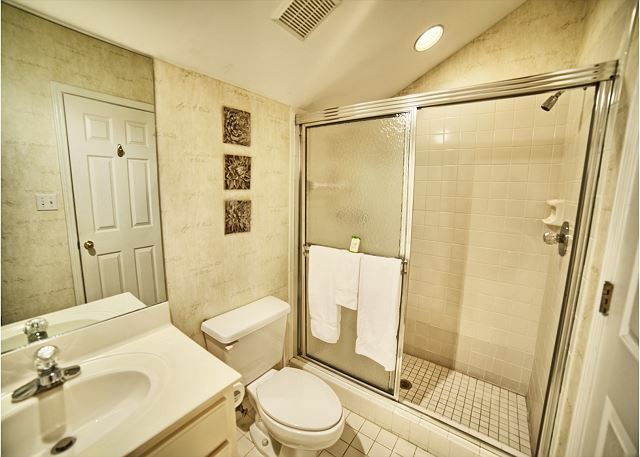 The condo was just as pictured and the rooms and bathrooms were nice and spacious. Our party was well accommodated and we will stay at this location again. The kitchen was well equipped with everything (except food) needed to prepare meals. There is one thing I would recommend, the cleaning staff needs to take a few extra minutes to clean the house before each guest arrives because pets are allowed. There were blood spots on the floor and one on the back of the bathroom door as well as some pet hair. This obviously indicated a dog must have hurt himself and walked throughout the Unit. Other than this the house is clean. I’m sure we could have called to have someone come and clean but it was not a big deal and definitely does not change our desire to return. I am glad you enjoyed your stay and realize we would have had someone there ASAP to clean any issue. Property has been updated nicely. Furniture is showing some wear which is to be expected in a popular unit. Great place! Townhouse was beautiful - better than the pictures! We’ve rented several houses and 5271Tivoli was cleanest we’ve ever seen. Bette, the property manager was great to work with and responded to our email questions quickly. 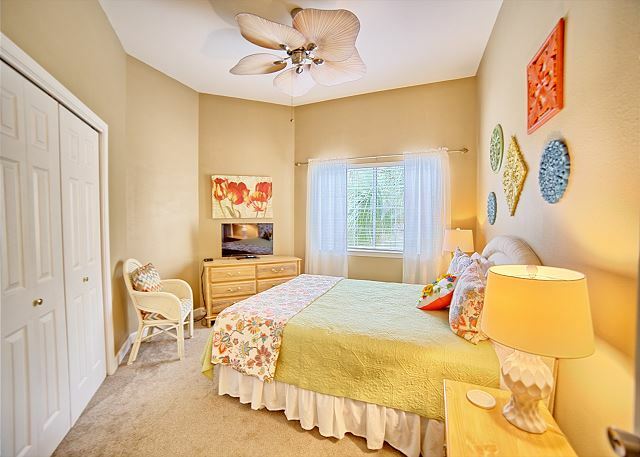 Location is perfect, close to the beautiful beaches, good restaurants and shopping. 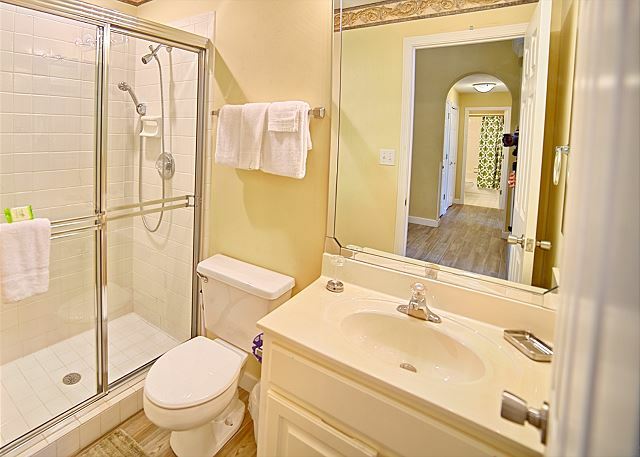 This home is open, but offers privacy to guest. We would be happy to stay there again! We were all well pleased with this home. Secure and the location was great. We had a great time, really enjoyed the condo and plan to return. Beautiful place and very close to pool. Don't forget, you can take the tram. There should also have been at least 2 beach chairs and an umbrella in the unit for your use. Most of my guests tell me it is a 5 minute walk to the beach. You came the week before school started, so obviously a busy week. Thank God for an endless beach to enjoy. My family and i had a very wonderful experience. House as pictured. Very beautiful . We had everything we needed . We are thankful that you had a fabulous experience! Loved the place! Clean, cute and comfortable! The pool is very close..loved that! Our only negative comments aren't really negative but an FYI for the owners. The ice machine is very slow, there was no ice in the fridge when we got there & it took a day to make it. The WiFi had to be reset a few times but after it was reset we had no issues with it. Loved dealing with Bette -very nice and helpful!! If I were you guy's I'd buy a gulf cart to keep there & add a fee or maybe suggest renters to reserve a gulf cart a head of time. The tram is nice but if you have kids a gulf cart is even better to haul all of their stuff to the beach! Wonderful place to stay & no noise issues from others! I'll be in touch with Bette about a rental for next year! I am so glad you enjoyed your stay. Come back often and thanks for the personal comment. I so appreciate it. We absolutely loved our stay in Miramar Beach! The rental was roomy and very convenient to the pool and only a short way to the beach. we especially loved the loft upstairs and the fact that we could bring our fur babies with us! We loved the screened in balcony and spent time out there every morning! Great rental! My family and I enjoyed it.The house had everything we needed and very spacious. It was located near the beach and right by the pool. I was pleased with with everything. Pet friendly, clean, & spacious!!! We are glad you enjoyed it, see its value and please come back! As you noted, very spacious and pet friendly as well. We had an excellent experience. The unit did lack a few basic amenities such as working can opener, more dish towels, pizza pan, at least 1 good fry pan, and at least 1 good knife. We appreciate your comments and certainly wished you had contacted us. Those are a simple fix. Thanks for sharing and come back to find all is there. This is a great property. It was clean and very comfortable. We enjoyed the screened in back porch and loved the proximity to the beach. We are so thankful that you enjoyed it and with all new flooring, it is like new! We enjoyed our stay at 5271 Tivoli. The unit just had the floors replaced and the flooring is beautiful. We had plenty of room for everyone. There is a pool in walking distance, but we spent most of the time at the beach. We rented 2 golf carts, which was great because we were able to drive to the beach parking and drive over to Baytown Wharf on the golf carts. 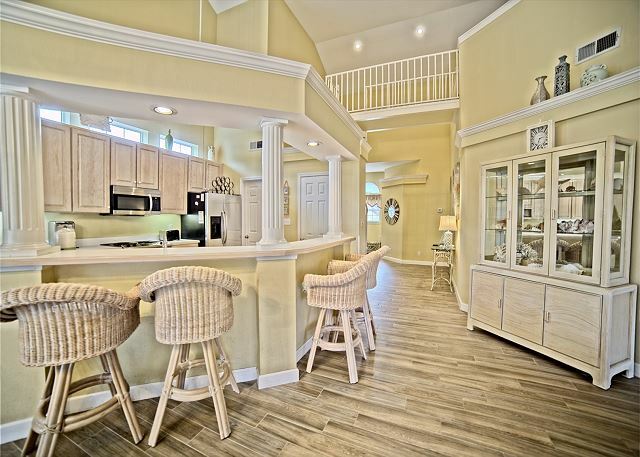 This is a very nice unit and would definitely stay here again! Thanks, and come back often. Glad you were able to get golf carts from another source to use. Excellent. Best we have had! And you are coming back next year to new flooring throughout the unit being put in now. overall a good experience. Very roomy, lots of TV's for viewing, nice bedrooms, kitchen large with ample cooking untensils (only one hand towel in drawer; we brought a few of our own fortunately); great location, unit was nice and clean, ready for occupancy; security was very professional and kind. Definitely would do over again! 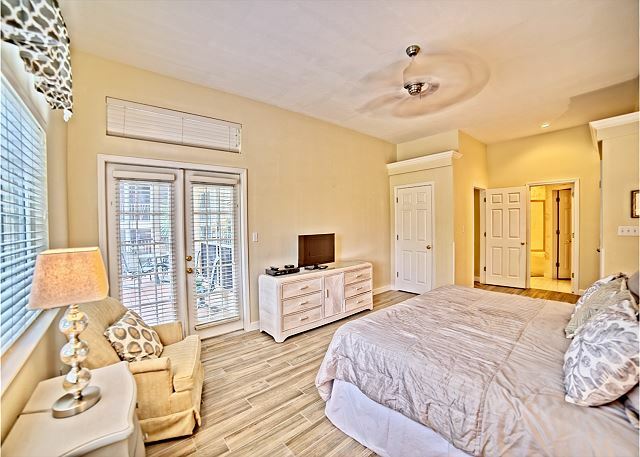 Great unit to live in, just walking distance to the beach, spacious, comfortable. Only down side I'd say for this pet-friendly unit is the white carpeting shows stains easily your furry friend may innocently bring. I would also hope for a more secured wifi (no password needed). We had a very nice time. The Condo was nice and clean. The baths should have shower mats installed tubs were very slick-hazardous. Thank you for letting us know. We will certainly take care of the bath/shower mats. Please note, our 24/7 oncall could always take care of that for you. Was in Fort Walton for the African Methodist Episcopal Church 151 Annual Conference. The condo surpassed all my expectations. 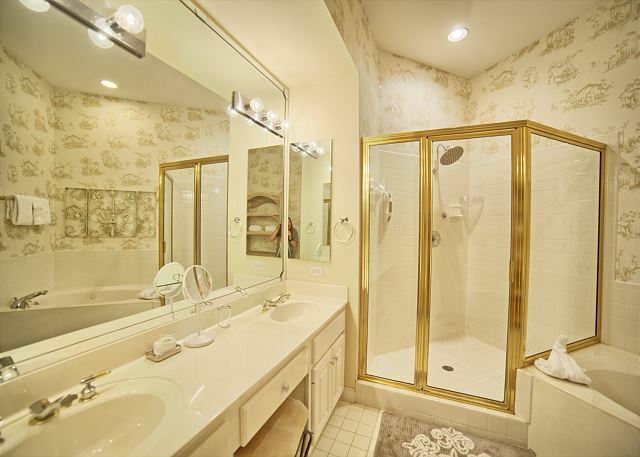 I am so thankful the condo was what fit your needs and you could see what I see in it. Thanks, Juliaette. Please come back! My family and I really enjoyed our stay at this condo. The 4 bedrooms/4 bath was just the right size for all of us. They don't charge a pet fee which is a huge plus! 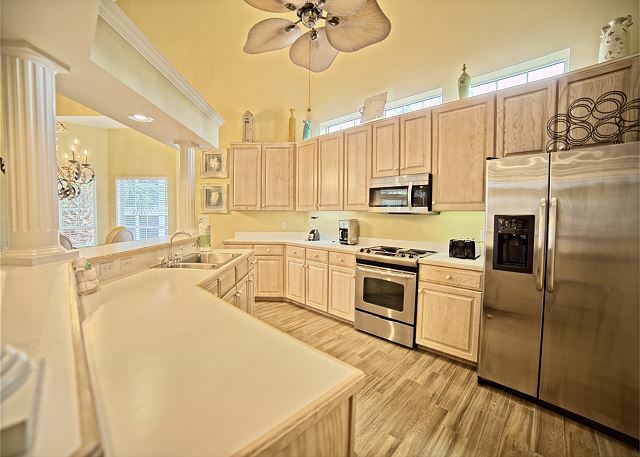 They have everything you need to cook dinner every night in the kitchen. It was nice to be able to use the tram when we needed to go anywhere. 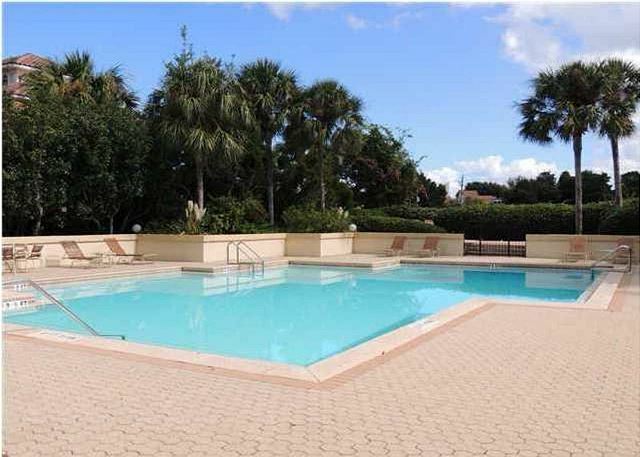 The beach was right around the corner and the pool was right next to this condo. We would definitely stay here again, thank you for everything! 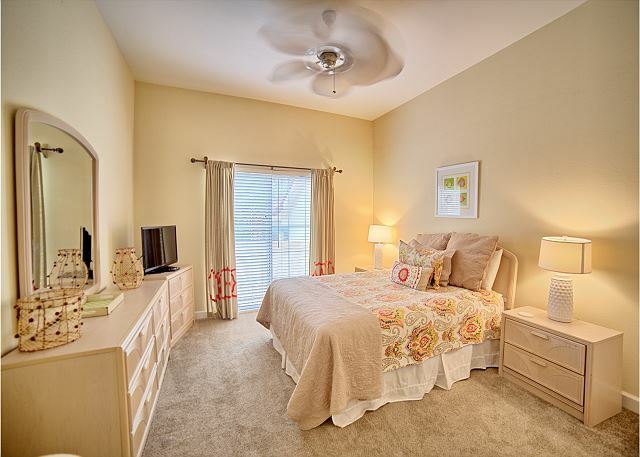 This very spacious and clean unit is located inside a BEAUTIFUL resort. 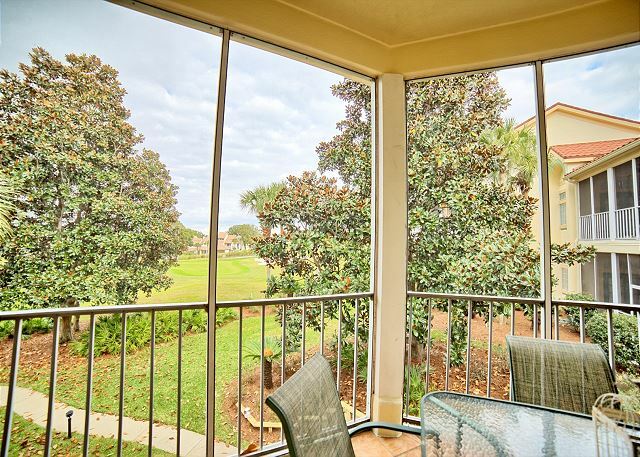 We could sit on our porch and watch golfers on the putting green of one of the holes on Baytowne Golf Course. The walk to the beach was a little farther than we would have liked to have as many little children as we did, but there is a parking lot right up next to the beach that always seemed to have spaces available. As you come out of your until, there's a tram stop and a swimming pool if you walk to your right. The pool was great; never really crowded. Bette was absolutely wonderful to deal with. There's no doubt that if we decide to visit here again, we will use her to find a place to stay. The condo we rented 5271 was wonderful. We had everything we needed. The layout was perfect for my husband and our three grown daughters. It was nice that you furnished beach chairs and umbrellas. FYI the dryer does not get the clothes completely dry. Overall it was a 10. Best vacation ever. Bette was very helpful and made sure I knew everything before coming to Destin. The rental was very spacious and clean. I was traveling and ended up making it to rental ahead of time. Bette made sure that rental was clean and I was able to check in early. With our extended family of 11 plus 2 dogs, we had plenty of space and fun at this condo. The beds were comfortable, large kitchen and 4 baths were awesome. I really enjoyed the large patio, kept grounds and view of the golf course. Easy access in and out to surrounding areas. I highly recommend this condo and would come here again. The property was even better than the description on line. 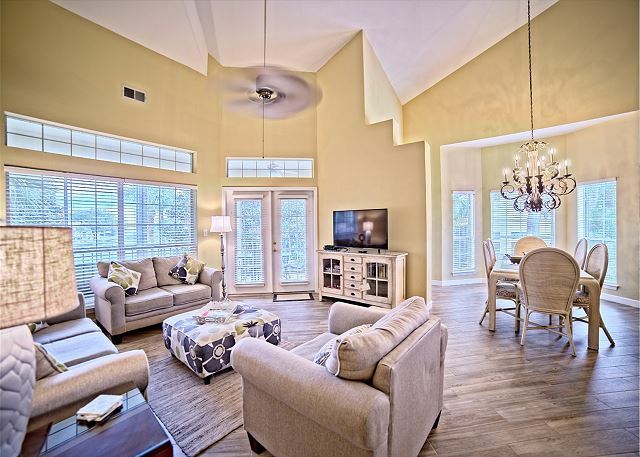 Great views of the golf course and lots of room inside to enjoy and relax. 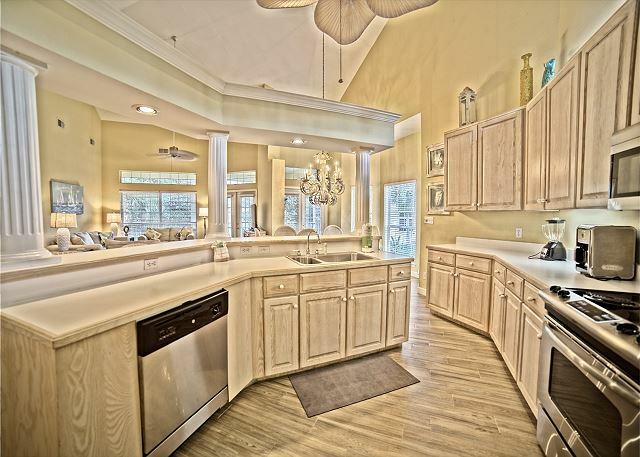 especially liked the large open kitchen and the space in the master bedroom including a huge master ensuite. The property was very clean and ready to move in. Bette was great at setting the whole stay up for us and we had a nice visit from the on site manager who made sure everything was okay with the unit. I would definitely recommend this property to friends and relatives. The close access to the beach and the tram service are really nice features. Looking forward to a return visit next year. We had a great time with the tennis program especially the mixed round robins on the weekends. This was our first stay in Sandestin but probably our tenth stay in the area. This condo, by far, had the best management company we have experienced. They were obviously invested in providing a good stay. There was even an onsite liaison agent in a neighboring condo. Excellent service. The condo itself was very spacious, very comfortable and quiet. 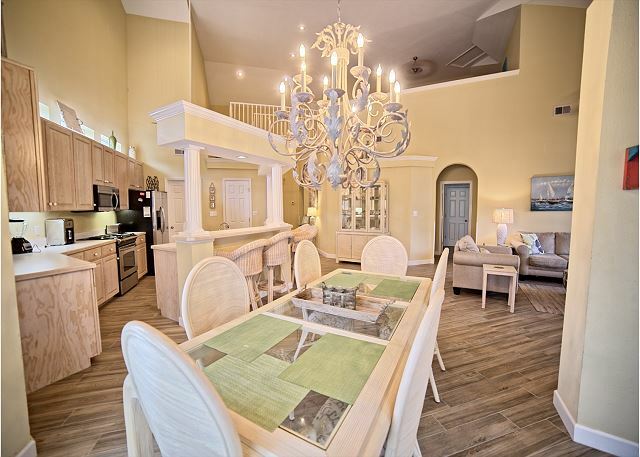 Sandestin is a fun place to stay with a village, great beach, golfing, farmers' market etc. The local tram transports you all over the resort. There are sidewalks everywhere to walk for miles. We absolutely hated to leave - thank you!